Did you ever play the Cossacks series? It’s a pity if you said “no”, because they were some of the finest old-school military RTS games around. Think Age of Empires, only a bit smarter, and a bit fancier, with muskets and feathered caps instead of triremes and wololos. The first Cossacks was released in 2001, with a sequel coming out in 2005. That’s normally enough time between battles to leave a series dead and buried (especially given how “antique” Cossacks’ gameplay has become), but developers GSC Game World have today announced a surprise sequel anyway. 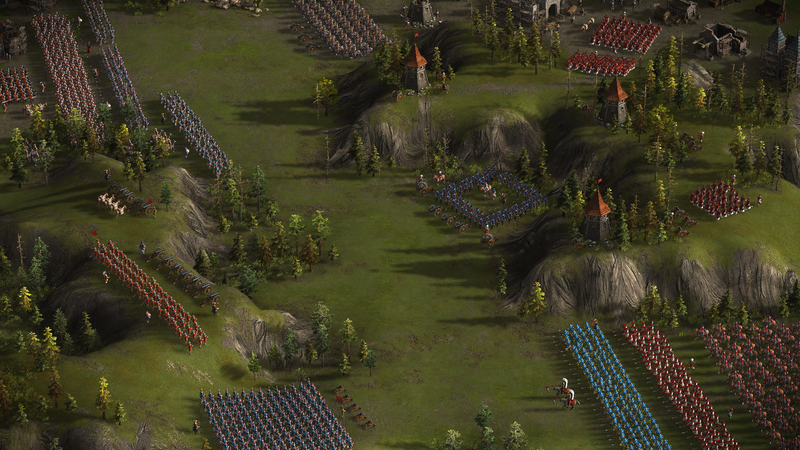 They’re calling Cossacks 3 a “modern remake” of classic RTS gameplay, down to old-school resource gathering and unit production. Only this time there’ll be up to 12,000 units on-screen at any one time. It’s due out on PC at the end of the year.